ASC La Linguère, based in Saint-Louis in the northwest of Senegal, had a disappointing season, finishing as number five in the “Poule A”. Based on the fact that their squad contains several quality players, I was surprised by their failure. 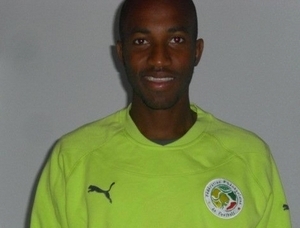 Khadim Ndiaye, standing tall at 192 centimeters, is widely considered as the best goalkeeper in the Senegalese Ligue 1. At the time of writing, Ndiaye is enjoying a loan spell at Swedish top level club Kalmar FF, although he has yet to make his debut for the first team. Ndiaye has several full international matches for Senegal. Mansour Ba, Habib Diop, Samba Ndiaye, Pape Idrissa Sall and Mamadou Seck are five experienced players who are important for the defensive strength of the team. Diop won the “Player of the season-award” for his consistent performances at right-back. Ba, primarily a defensive midfielder, became runner-up. Sall, often captaining the team from centre-back, became number three. Moussa Dembélé, primarily an attacking midfielder or striker, is often dictating the attacking play of the team. The top strikers at the club are Ibrahim Dermé from Burkina Faso and Mohamed Remy Gomis. Both players failed to score regularly. Star player Sérigne Cheikh Diouck struggled with injury most of the season. Mourchid Iyane Ly, a notorious goalscorer at this level, had a poor season in front of goal. I believe it is fair to say that Mame Ibrahima Ndiaye is the most interesting player who featured for ASC La Linguère last season. Ndiaye, playing regularly for the Senegal U-20 national football team, is a pacy striker. Some of his qualities can be viewed in this clip: http://www.youtube.com/watch?v=Y3eH5VRbdek. According to unconfirmed sources, Ndiaye has recently joined FK Napredak Krusevac, a second level side in Serbia. The picture is of “Player of the Season” Habib Diop and was found on http://www.ndarinfo.com.